It is quiet as we enter the maze of Asalpha’s chawls. This area is relatively free of the honking and hawking that characterize much of Mumbai. Behind us, the concrete pillars of Mumbai’s metro loom large. This new mode of transportation has, perhaps more than any other factor in recent memory, influenced residents of Asalpha. In the coming years, a new line will open, and will stop in Dharavi. Changes are sure to come to Dharavi in the wake of this new metro line. Proposed in 2004, the Mumbai Metro has one currently-operational line. This line runs east-west, from Ghatkopar to Versova, with a critical stop in Andheri along the way. In a city with geography and settlement patterns that have historically mandated north-south transit systems, this metro line’s orientation has provided easy access to areas that were not so accessible in the past. 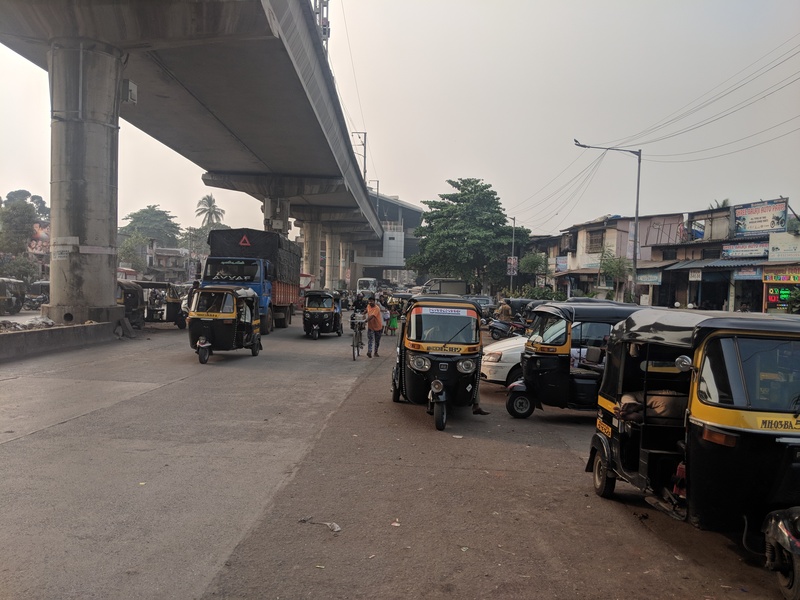 Most importantly, this line connects the local rail stations at Andheri and Ghatkopar; thus providing a link to residents of previously-underserved communities of Mumbai to the rest of the city. We interviewed twenty-one residents of Asalpha, a slum area near the airport. Asalpha lies between the Western and Central suburban railways. As such, residents of Asalpha were historically somewhat isolated from the rest of Mumbai. In 2014, Line One of Mumbai’s metro began service. We asked residents questions about how the metro has impacted their lives. We interviewed people who ride the metro both regularly and infrequently, and some common trends emerged. Of the twenty-one interviewees, sixteen mentioned an extreme increase in property prices in Asalpha. Seven said prices at least doubled immediately after the metro started running. Kavita Evle, a housewife, said a 150 square foot space cost 12 lakh Rupees prior to the metro’s construction. Now, the same space costs around 30 lakh Rupees. For property owners, such price increases are generally met with enthusiasm. Renters, on the other hand, have to contend with sudden issues of unaffordability. Mendo Giri, a housewife and 14-year resident of Asalpha, now often worries she won’t be able to afford rent. Increasing prices have, according to some interviewees, forced people out of Asalpha. Evle said she knows people who have had to move far away from their jobs to find affordable housing. Some have even moved back to home villages in UP, Bihar, Karnataka and Tamil Nadu. Additionally, some outsiders have moved into Asalpha due to the area’s newfound connectivity and relatively low real estate prices. In addition to issues of affordability, several residents expressed changes in development of Asalpha. Most were optimistic about schemes to rehouse them after redevelopment takes place, as well as an influx of new economic activity in Asalpha. 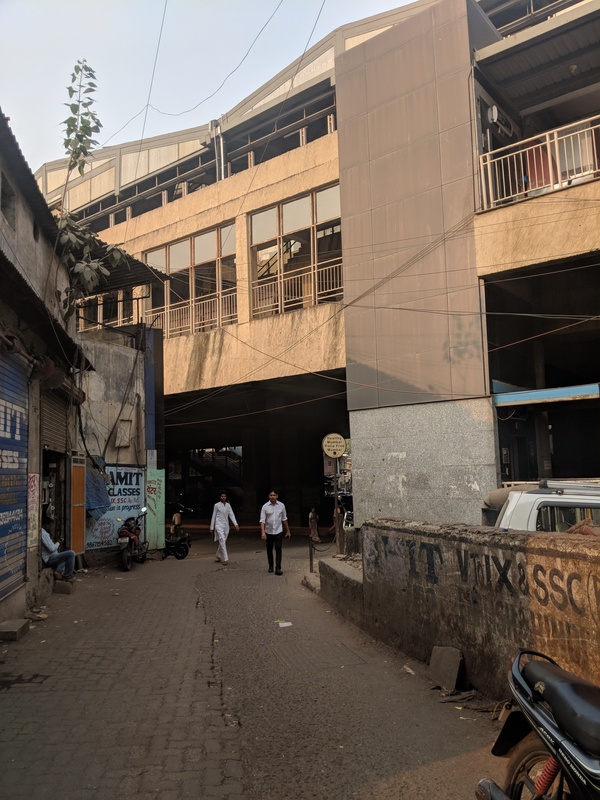 VG Pujari, a retiree and longtime resident of Asalpha, mentioned that a developer visited his chawl and promised each resident a 350-square-foot space in a new building as a part of a 4-5 year proposed project in the neighborhood. Yashwant Patil, a teacher residing in Asalpha, had a favorable view of development projects, as they enhance peoples’ quality of life. However, Patil expressed fear that people would be resettled far away from Asalpha. 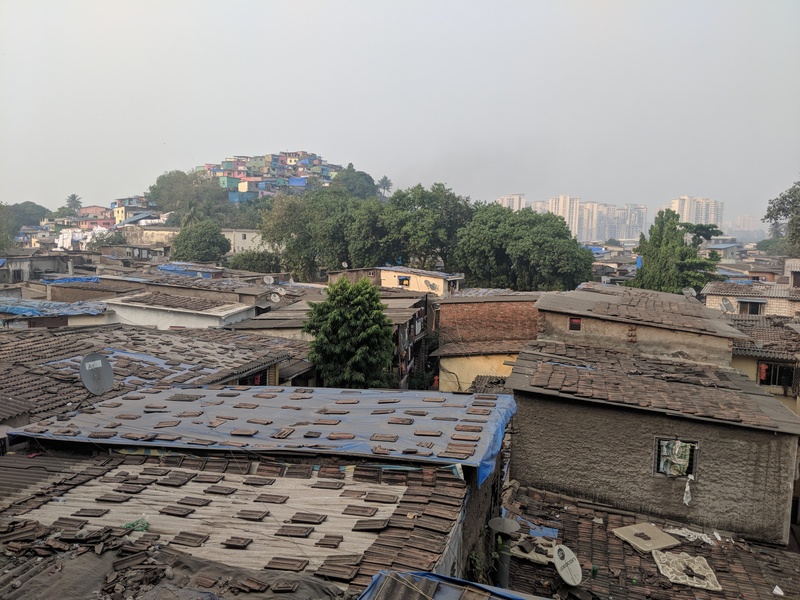 A substantial displacement of people would, in Patil’s view, have a disastrous effect on the social fabric of the neighborhood. 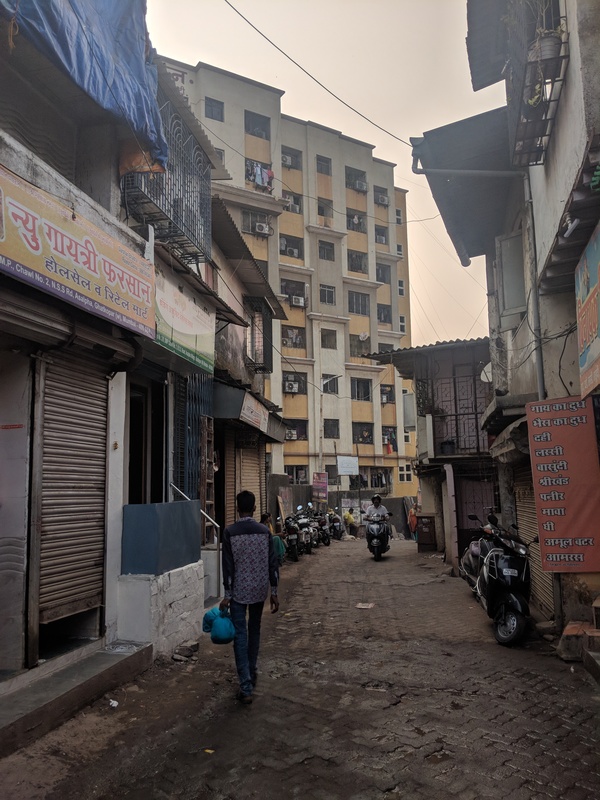 Similarly, Samardan, an office manager, is worried that the tight-knit community found in Asalpha’s chawls cannot be replicated in a high rise. These emotional, immeasurable implications are critically important to look at. Without that intangible sense of community, high-density areas such as Asalpha and Dharavi are sure to disintegrate.